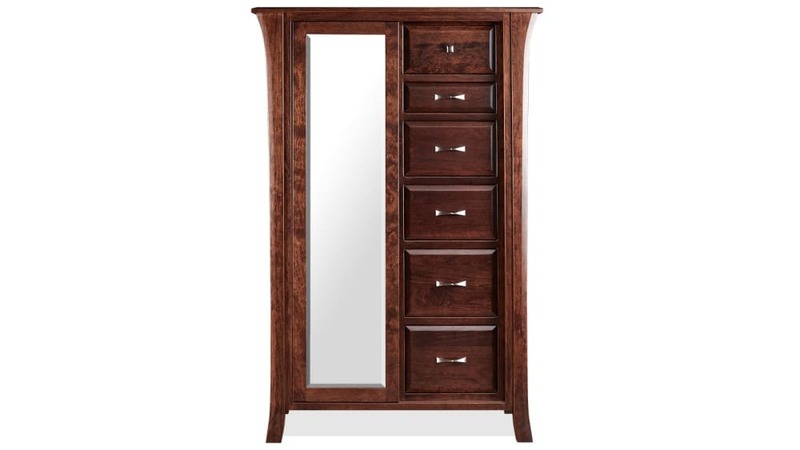 Part of the East Benard Bedroom Collection, this American-made armoire is a smart addition to the bedroom. Six different-sized drawers can be used to house essentials: simply slide the mirror door over to access five open compartments, perfectly sized for books, shoes, and other bedroom belongings. 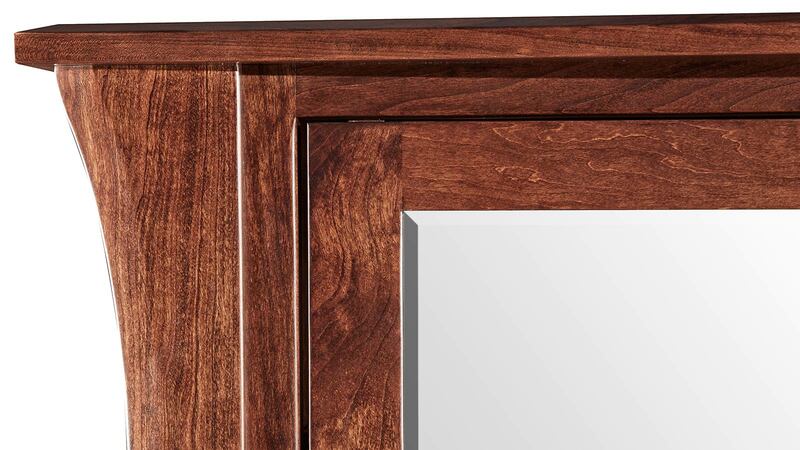 Now it's easy for you to separate items and make them accessible, while the full-length mirror will help you step out the front door with confidence. 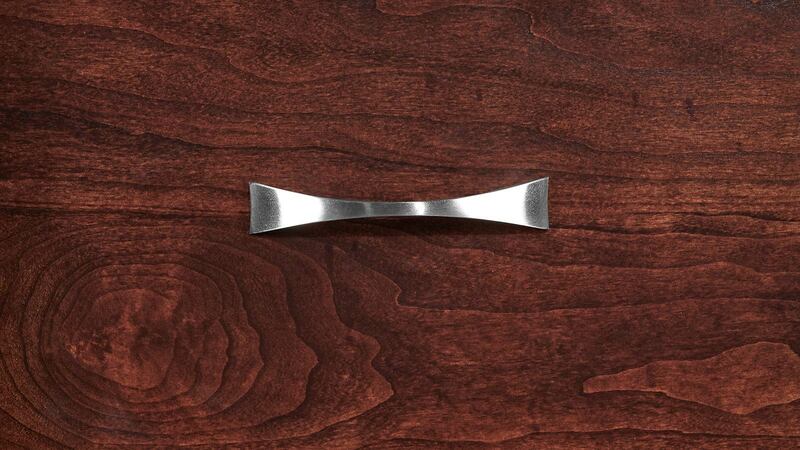 American-made construction ensures long-lasting style and functionality. Solid wood is both stylish and durable. Six drawers are varied in size to help organize wardrobe essentials. 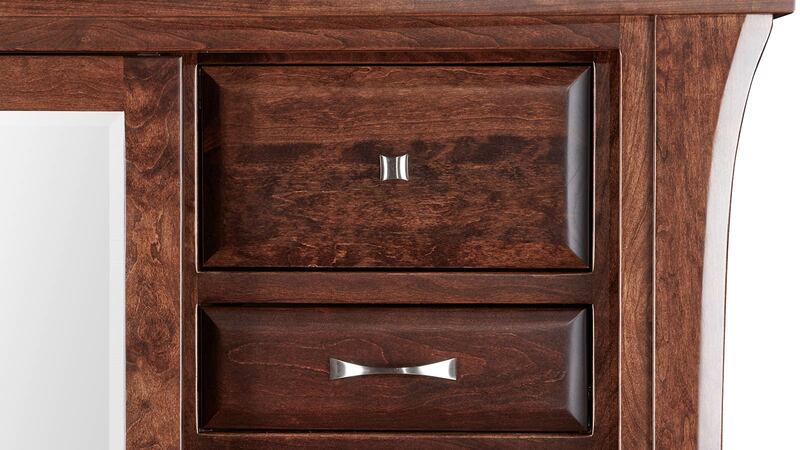 Five hidden compartments let you keep clutter out of sight. A full-length mirror helps you put together outfits that wow. 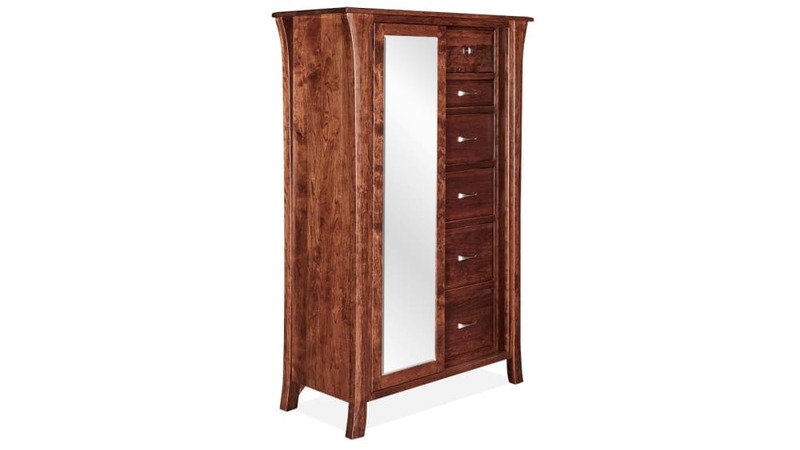 Built by skilled craftsmen right here in the United States, this armoire is a quality addition to any bedroom. 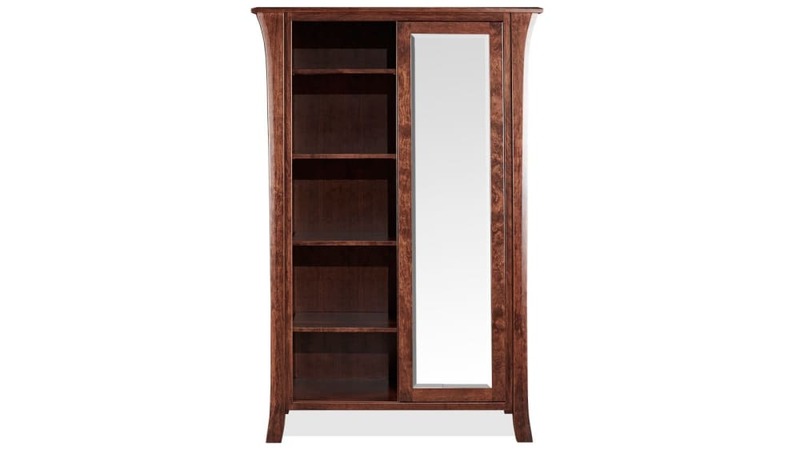 Sophisticated and durable, this carefully-crafted armoire is both sophisticated and durable, for you to enjoy years of stylish storage. Tackle clutter in the bedroom TODAY by choosing this fine piece of furniture. 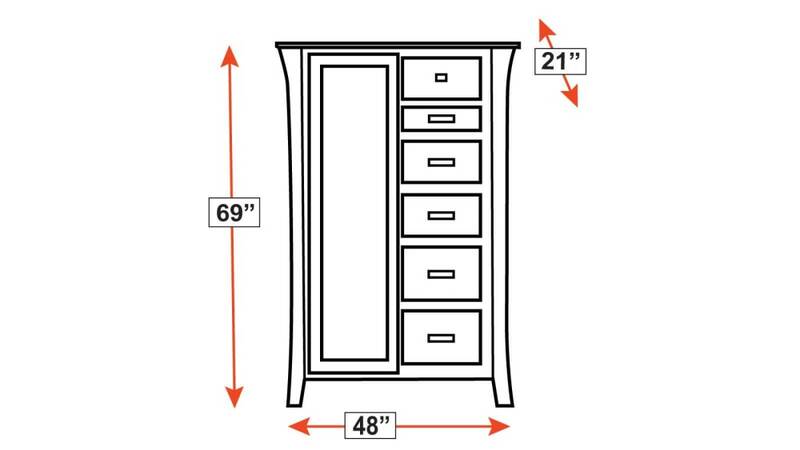 Gallery Furniture offers same-day delivery, so you don't have to wait to improve your space.